Join the seventh annual Great Smokies Experience, July 18-29, 2019! High school students: earn college credit in the Great Smoky Mountains! The seventh annual Great Smokies Experience will take place on July 18-29, 2019. The Great Smokies Experience is a one-of-a-kind, credit-bearing, introductory college experience for high school students entering their junior and senior years, and recent high school grads. Created and administered by professional educators from Maryville College, The Great Smoky Mountains Institute at Tremont, and the Mountain Challenge Program, this is an eleven-day, hands-on environmental program that takes place mostly in the Great Smoky Mountains National Park. For more information, explore our frequently asked questions, learn about our educators, and get to know some of the ideas that drive this program. Participants who successfully complete this program will earn credit for a three-hour Introduction to Environmental Issues and Sustainability Studies (ENV/SUS 101) class from Maryville College in Tennessee, a student-centered, four-year college just 30 minutes from the Great Smoky Mountains National Park. Students will spend most of this class living at Tremont in the park, with the remaining time taking place on campus at Maryville College and at other important sites in Southern Appalachia. Students will go on breathtaking hikes, take a canoe trip to the Tellico Reservoir, take scientific species surveys, explore the National Park at night, climb up Mt. LeConte, investigate the Maryville College Woods, and spend time in a classroom tackling big questions about the environment and our relationship to the earth. 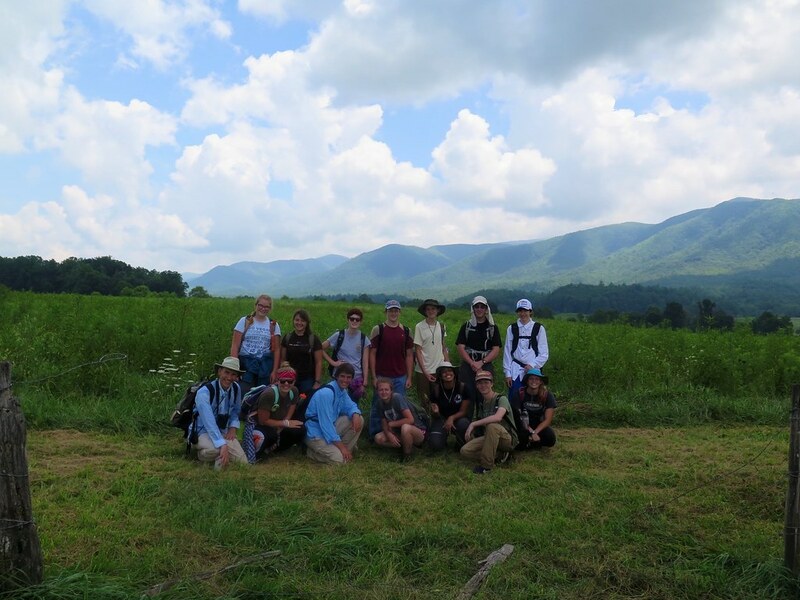 The total cost of the 2019 Great Smokies Experience, including tuition for this 3-credit college class, lodging, food, and transportation during the program, is $1,295. Tennessee residents may apply for a dual-enrollment grant of up to $500 through the state to partially offset this expense. The application for the 2019 Great Smokies Experience is temporarily suspended as we finalize details on this year's program. If you'd like to learn more, please take a look at our frequently asked questions or email Doug Sofer, coordinator of the program, at doug.sofer@maryvillecollege.edu. PS. While you're here, make sure to check out Maryville College's Sustainability initiatives, as well as our majors in Environmental/Sustainability Studies, and our programs in Environmental Science.